"WOW! This private charter from Phuket exceeded our expectations. Brilliant crew and tour Guide, nice boat and amazing locations. So many highlights during the day but if I had to pick one it would have been the Gourmet picnic lunch on the secluded beach in the Lagoon at Phi Phi. An unforgettable day out on the water!" Sit back and enjoy with the peace of mind you are about to visit one of Thailand’s most unique and picturesque Islands. 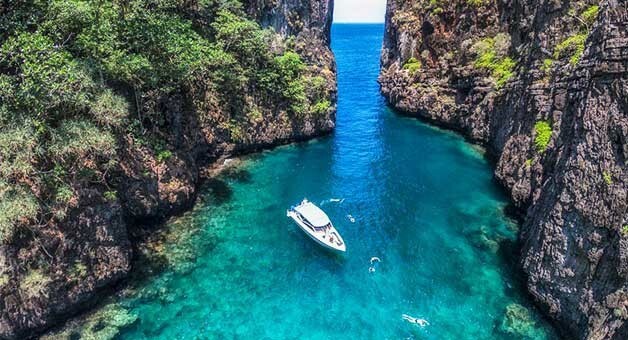 Impressive towering Limestone cliffs rising vertically out of the ocean provide the perfect setting for your day's charter while you explore the vast array of beaches and emerald tinted lagoons for which the Phi Phi Islands are famous. Below the water line a kaleidoscope of color awaits. Swim tantalizingly close to Turtles and tropical fish while your experienced guide points out further treasures along the reefs. 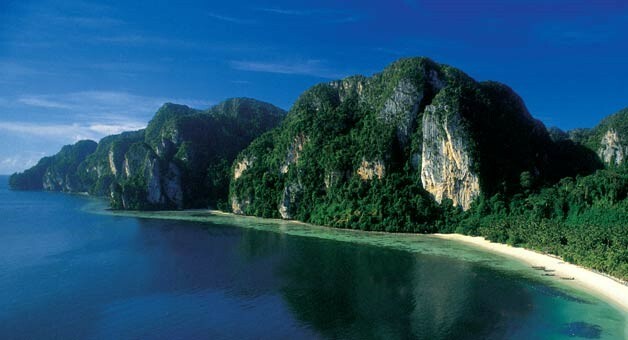 Avoid the crowds and spoil yourself with a gourmet picnic lunch on an idyllic beach surrounded by breathtaking scenery then unwind and relax with a lazy afternoon enjoying a glass of wine or a cold beer while moored up in a secluded bay before cruising back to Phuket with these spectacular Islands as your back drop. 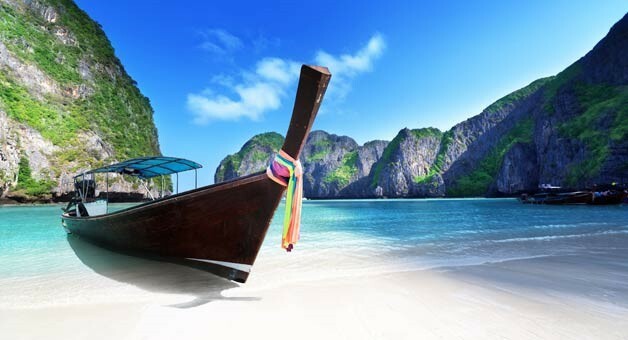 Tailor made private speed boat charters Phuket to Phi Phi Island.